There are currently 51,791 users on this website. 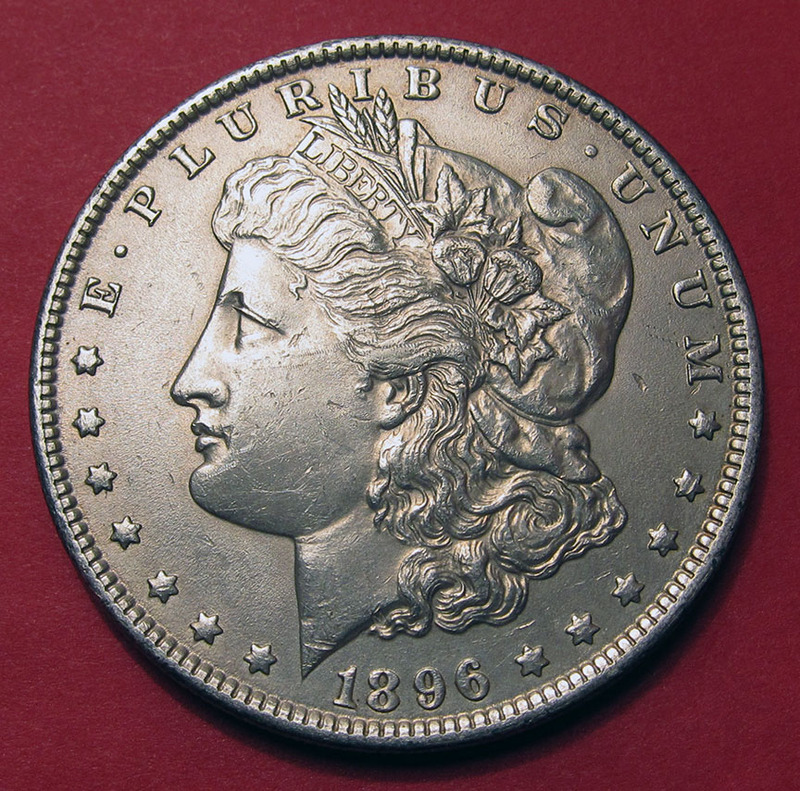 Can You Use VAM To Figure Out A Fake 1896-S Morgan? 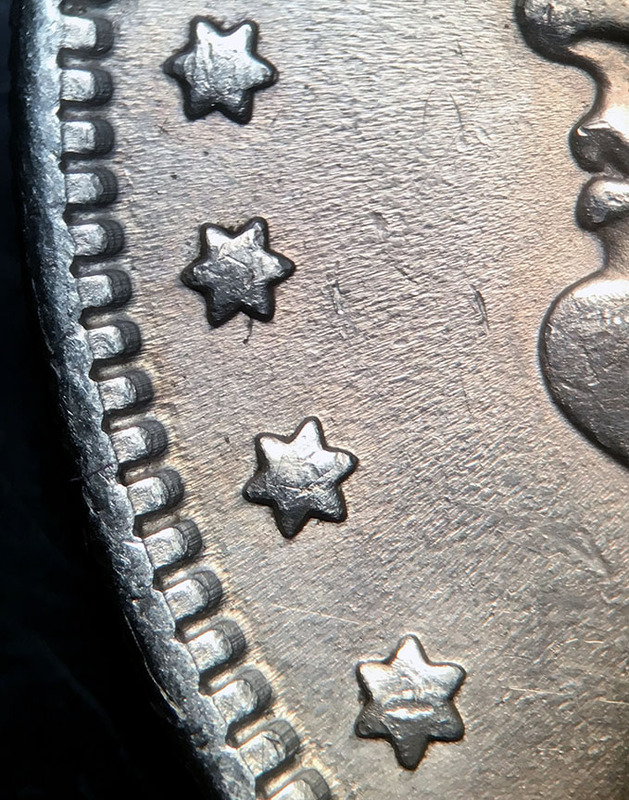 Howdy, I have an 1896-S Morgan that I bought as a fake for my counterfeit collection, but I can't figure out what detail is calling it a fake? 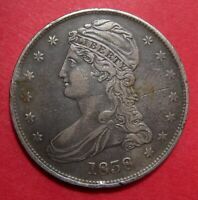 My knowledge of Morgans or VAMs is pretty minimal, so thought I'd toss up some images and get some help. 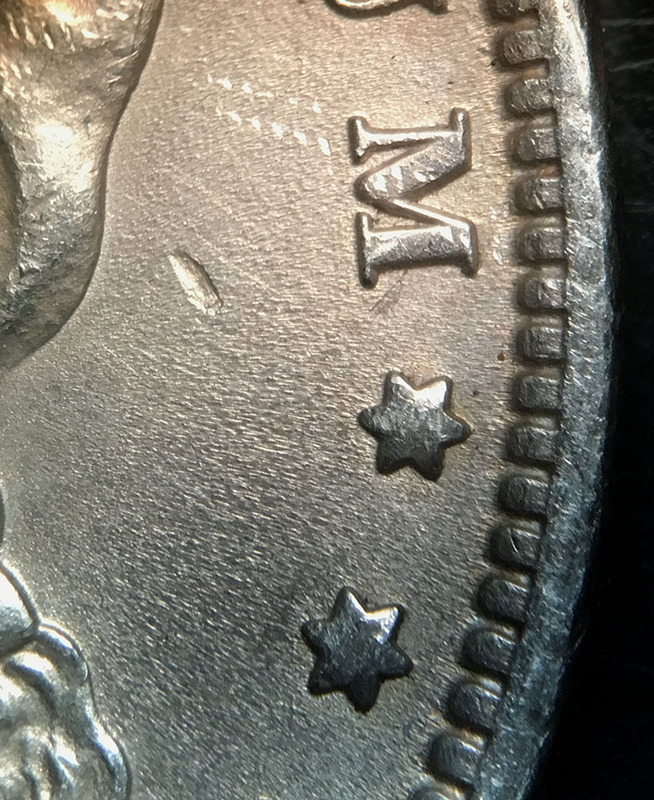 Specifically the die crack from the rim through the D of DOLLAR should be on (or off) the radar, and those sorta die gouge lines through the flower things in the hair look fishy. But help me out as I like to know why my fakes are fakes! 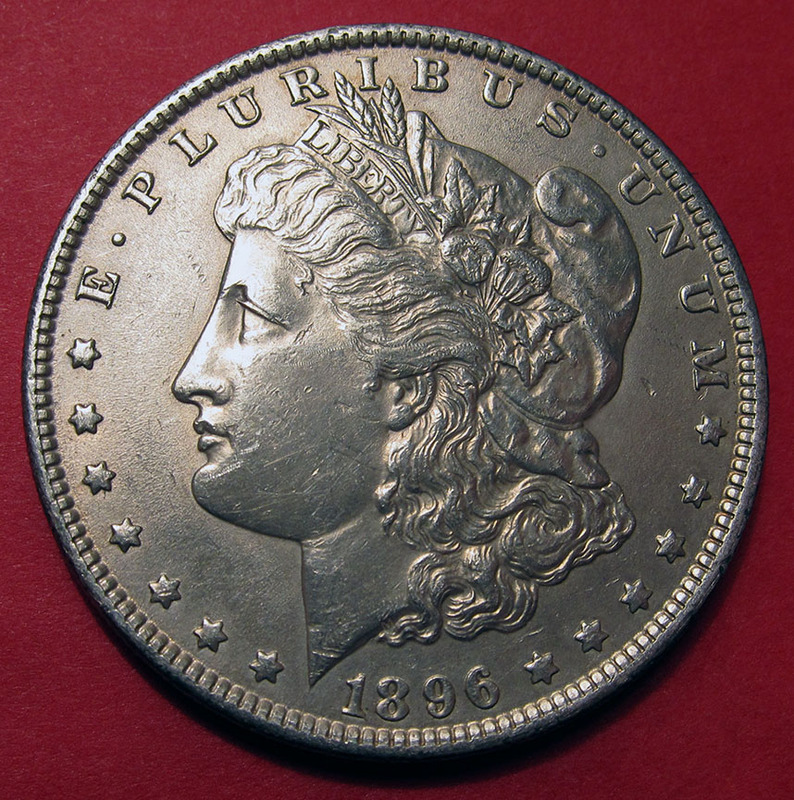 1896-S Morgan dollar label says fake: why? "In God We Trust" doesn't look right. especially the "I" and the "G"
Whose label says it's fake? 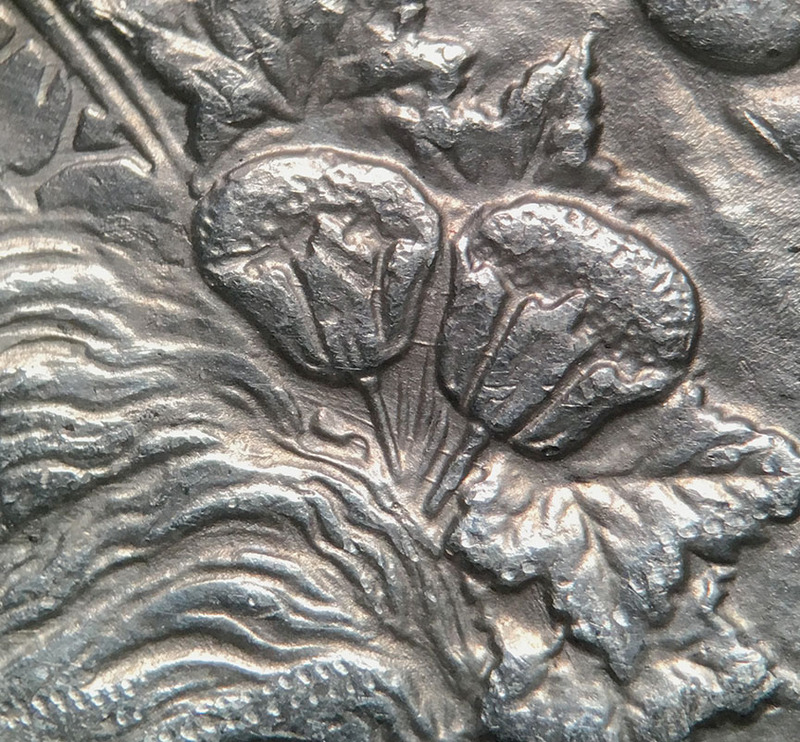 The VAM Book can be used to identify altered coins if you can show that one of the dies was used on a die pair from a different mint. 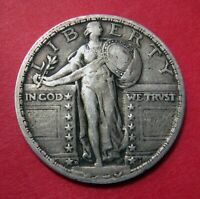 An example I've seen is an altered 1889-CC "sandwich" coin made from an 1889 obverse (you could tell by the strike it was a Philadelphia obverse) and an 1884-CC reverse. It can also cast suspicion if there's no match in the listings for some attribute of your coin. 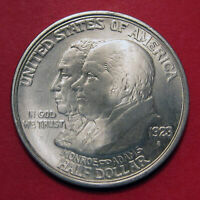 In the case of your coin, the high S mint mark with normal date isn't a known combination. I would suspect the S could be added. 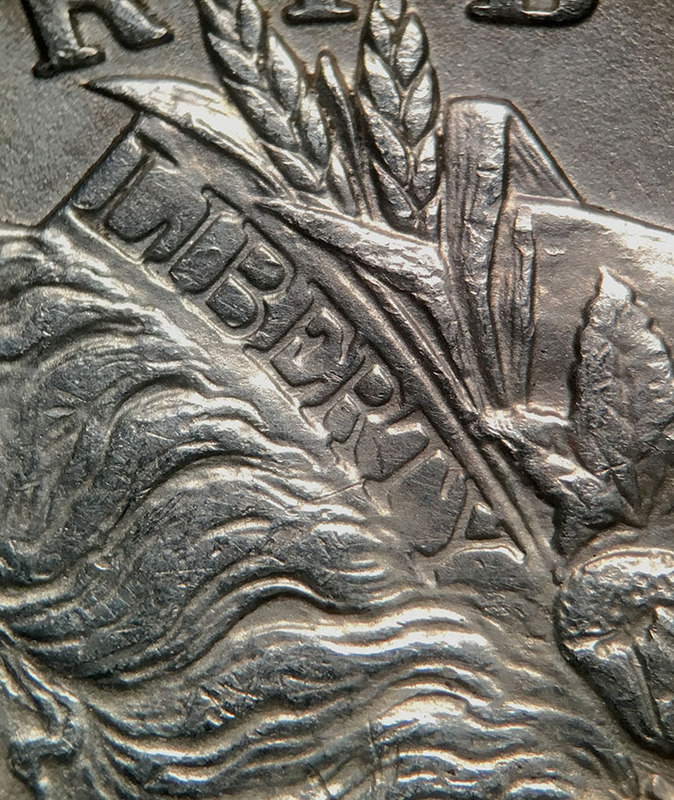 Look for signs of it being glued on or retooling on the nearest reeds from an embossed mint mark. The lines in the cotton blossoms aren't really a red flag, since that's a common place for those to show up. "In God we trust" looks fine. 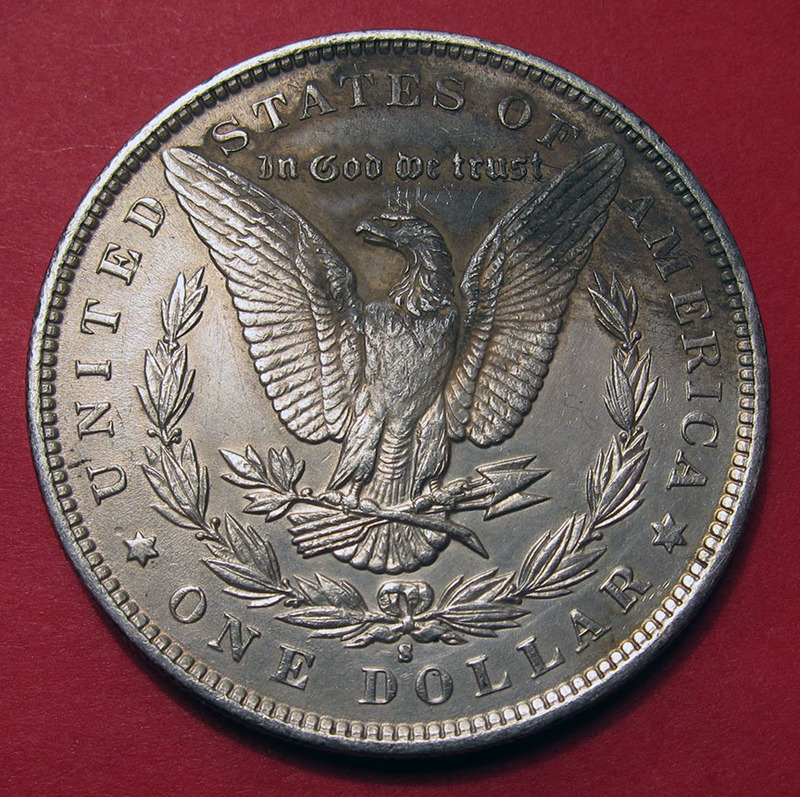 The die crack doesn't ring a bell, but it could very well be something on a known 1896-P. 1896-S typically has a needle-sharp strike, too, but mint records show there are dies that were used for over 500,000 coins, so there should be some that show die wear, as well. Thanks for the help! 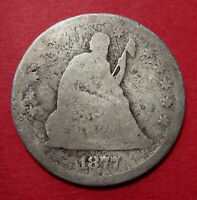 It was labeled fake by a very sharp coin dealer so I would tend to believe it is a fake. I will run down that list of ideas with the coin in hand tonight and see what I can come up with. 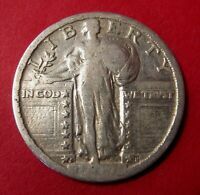 Really looks like a minted silver dollar and totally blanked on the possibility of a glued on S. I've got a 1909 VDB with one of those in my counterfeit collection. I put the coin under 30x and tipped it to see the edge of the mint mark. Yes, I am convinced it is glued on. 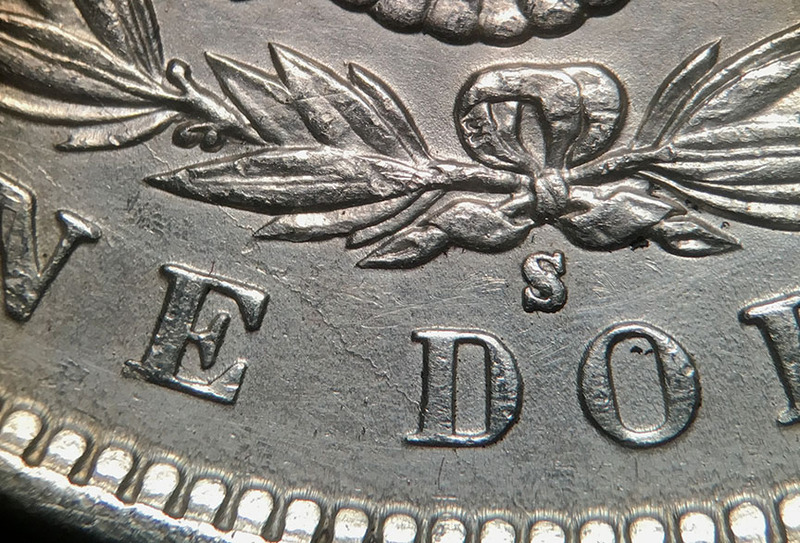 Pretty professional job but one small spot looks like a gap between the mint mark and the field and there seems to be some evidence of where they micro-scraped the metal from the mint mark down to fill in that gap elsewhere. Good call messydesk and I owe you one. Got it properly labeled and put in the fake files. It took 1.11 seconds to rattle this change.